Harvest Caye has an array of sports facilities. 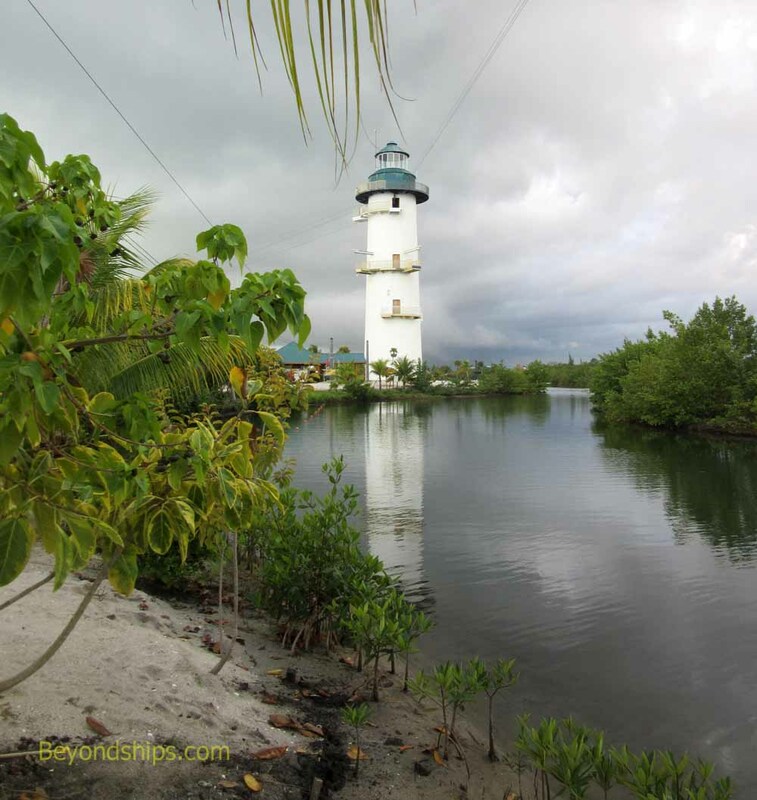 The most prominent landmark on the island is a 136 foot tall former lighthouse. 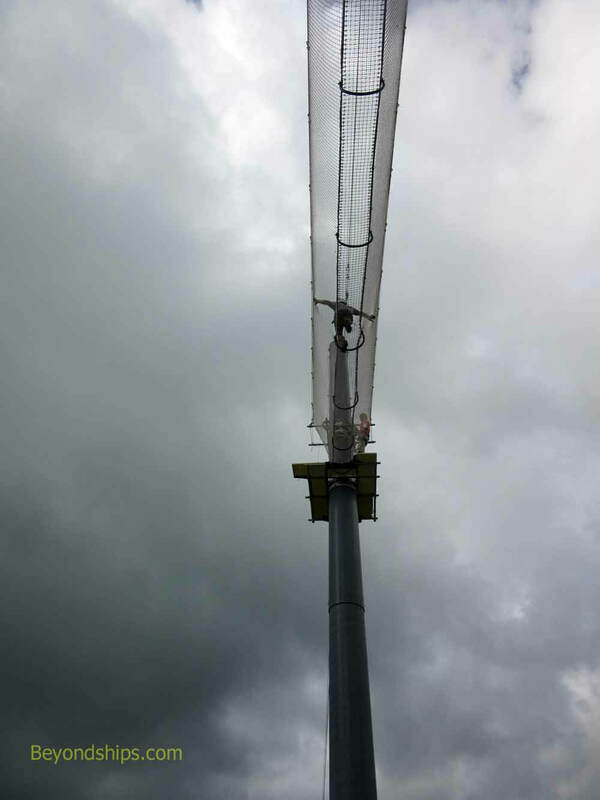 This has been transformed into the “Flighthouse,” the starting point for Harvest Caye's ziplines. In the other direction is the Superman Zipline. 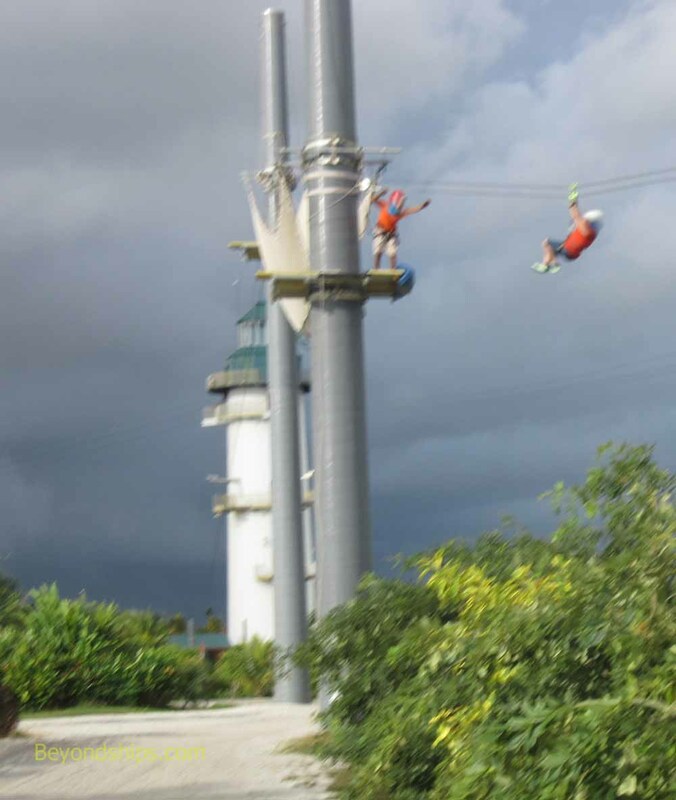 A long straight run (1,300 feet), guests lie prone and fly like a superhero over the beach and the sea. It has two lines so you can race or experience it with a companion. 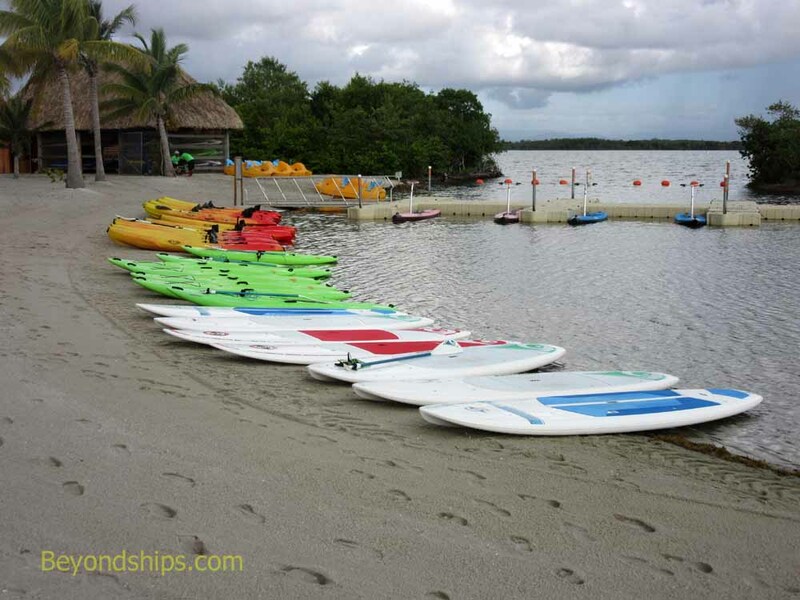 The aforementioned salt water lagoon is used for watersports such as kayaking, paddle boarding and electric float boats. 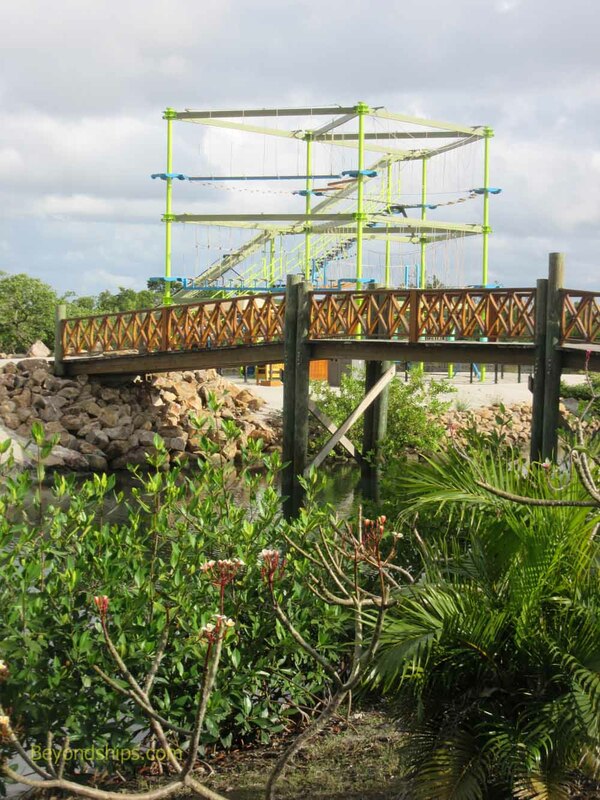 Harvest Caye also has a ropes course. It is located at the far end of the resort on an island in the lagoon. 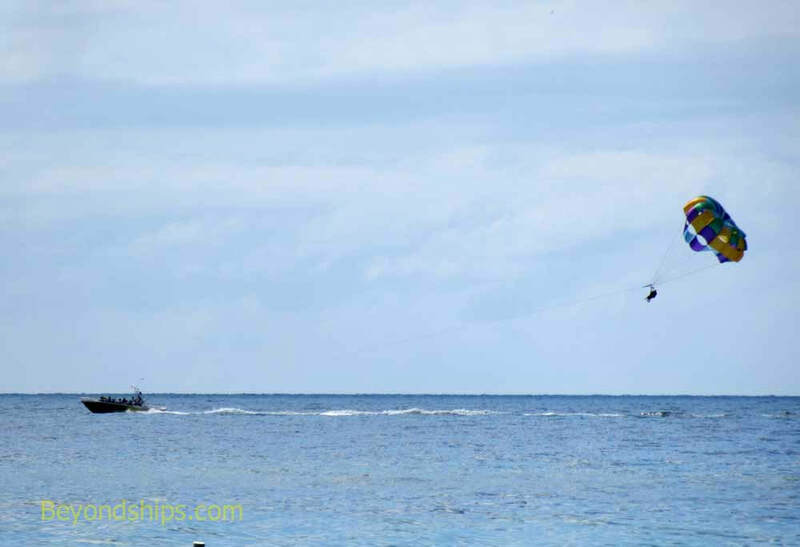 There are also offshore excursions that involve sports and/or physical activity such as snorkeling and parasailing.